Whisper it quietly, but there’s a new fitness movement under way. 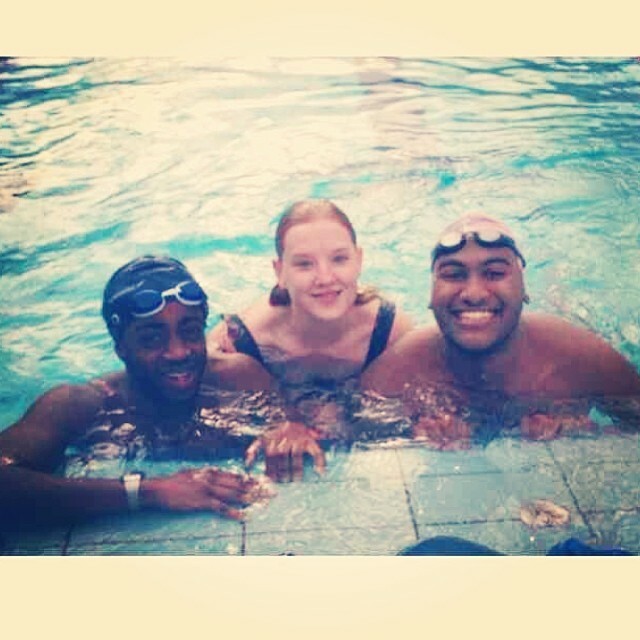 It started a few months ago in London when Nathaniel Cole, Emily Deyn and Peigh Asante decided to take the ethos of the running crew they love so much and apply it to swimming. Swim Dem Crew was born. Swim Dem Crew was born out of Run Dem Crew- a running family of creative heads all striving to better themselves through pounding pavement, track and trail. If you’re not familiar with them, check out my blog post on #crewlove. As well as running together in London, the crew hook up with other running crews around the world several times a year to race marathons and party in international cities. I’m excited to see if Swim Dem Crew can branch out like this in time, perhaps with triathlons. Nathaniel, Peigh and Emily are old-school members of the crew, and each have gone through their own personal transformations. They are exponents and examples of crewlove and brought boundless energy and enthusiasm to the opening Swim Dem session. Peigh only learnt to swim recently but can really move, while Nathaniel and Emily both look like fish in water. Last Saturday, at London Fields Lido, the first Swim Dem Crew open swimming session was held. I was nervous as I made my way across the park. I hadn’t been swimming with more than one other person since I was about 12 years old. Being of slight build, I was having doubts about the sanity of taking my top off and and swimming on a cold January day in an outdoor pool. I was also wondering how the family nature of the crew would translate to this setting. When you run with friends there’s lots of opportunity for chat, but with our heads in the water I was worried we would just be swimming endless lengths repetitively, barely talking to each other. My swimming skills are pretty basic. They’re normally only dusted off when on holiday, but I had been swimming occasionally for the past couple of months as part of my rehab from a running injury. Thankfully, my fears soon evaporated like the steam rising from the heated pool in the crisp morning air. As I arrived I caught up with My-Ha and Luke, and before I knew it I was chatting away with Nathaniel.As we made our way out to store our things in the outdoor lockers the cold was biting, so we kept moving, showered and got into the pool as quickly as possible. Nathaniel explained their would be three groups- Tadpoles, Dolphins and Sharks. All three groups would be swimming 20 laps of the 50 metre pool, so we’d be swimming 1 km in total. This was to be done in 100 metre bursts in separate lanes, one for each group. Tadpoles had 4 minutes to swim 100 metres. If you finished early, you had more time to recover and chat before the next 100 metres. Dolphins had 3 minutes for each 100 metres. Again, swimming quickly gives more rest time. Sharks had 2 minutes for each cycle. How you manage to rest and do that is beyond me. I opted to swim with Tadpoles, and was looked after superbly by Peigh. We swam a warm-up lap, and then set off doing our first 100 metres. I found we were comfortably able to swim the distance in about 2 and a half minutes, so there was plenty of time to catch our breath and chat in between reps.
As I looked across at the Dolphins and Sharks moving gracefully through the water, I was inspired to develop my technique and move up groups soon. There were 16 of us swimming, mostly people from Run Dem Crew, but the age varied from as young as 7- Sacha- who was there with his Mum and crew member Sanchia- to (ahem) myself. It was great splashing about with Sacha in the shallow end each time we completed our reps. I had a really great time. I don’t think I’ve been swimming with that many friends since a kids’ birthday party when I was 12. The different groups were well thought out and the balance was right between pushing to become a better swimmer and having a good time. The crew are really friendly and anyone is welcome, although tiny Speedos, as one male crew member found out, are not part of the uniform. I think this video gives a good indication of the vibe. 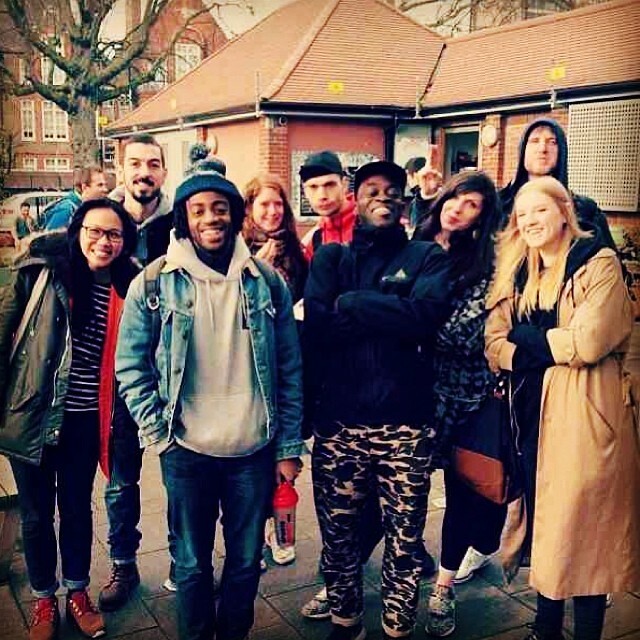 Swim Dem Crew is going to visit lots of different London venues over the coming months, so there’ll be a chance to get involved for anyone based in the capital. It’s happening every Saturday at 10am. I believe the next one is in London Fields again, and then after that there is talk of Crystal Palace. 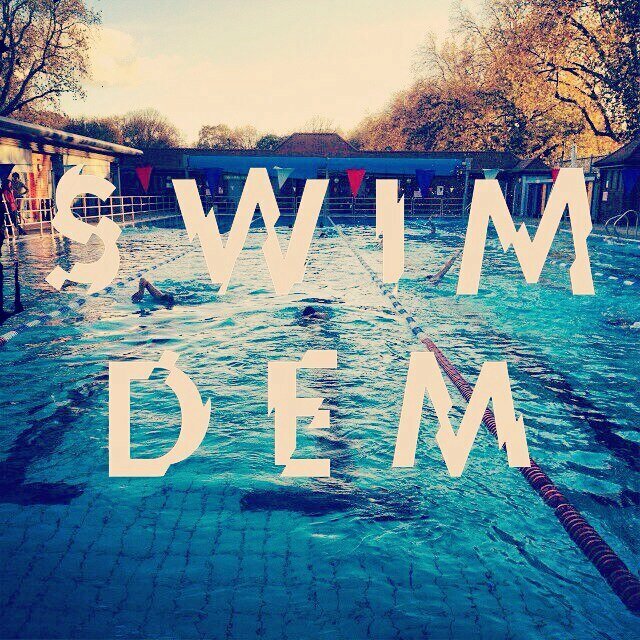 If you want to find out more about the crew, hit them up on Twitter or Instagram under the @swimdemcrew handle. London Fields Lido is also well worth a visit. It’s quite spectacularly beautiful in the crisp morning air, and I can’t wait to see the seasons change as I swim under the trees that tower over the pool. The session cost £4.65 for adults and £2.80 for children. The lockers are 20p. So don’t let anything stop you from joining the fun. Get yourself down to the next Swim Dem Crew session and join a group of runners who love to swim. I’m proud to have been at the first open session, and I’m sure by the summer the numbers will have gone through the roof. There aren’t many better ways to spend a Saturday morning. It would not surprise me in the slightest to see other swimming crews popping up in cities across the world. Bring on the first Swim Dem Crew Bridge the Gap. July 1st 2012 was the date of my first race since the 2007 London Marathon. A difficult recovery after an operation had given me a new found gratefulness for the fact that I am able to put one foot in front of another. I could not have seen then how running would transform my life. It has taken me to Amsterdam, Barcelona, Bournemouth and soon Berlin, but the friendships I have made through running will last beyond memory. 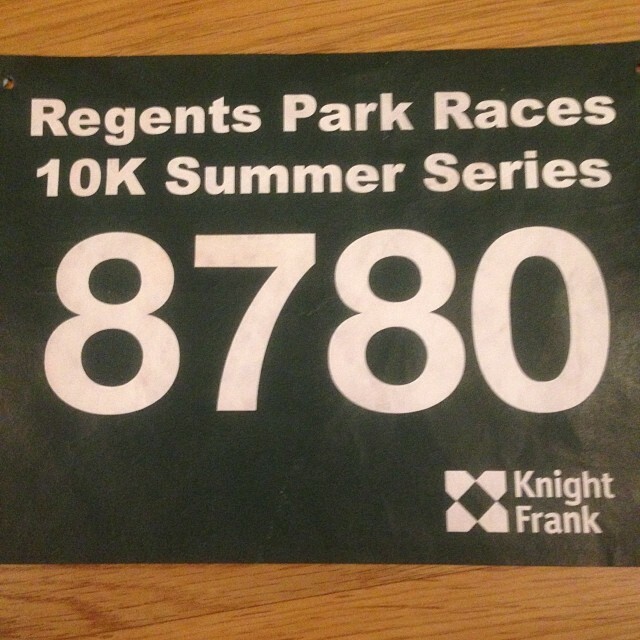 Last Sunday, I went back to that Regents Park course and ran 10K 9 minutes faster than that day in 2012, but the first race will always be the most special to me. I keep the race number hanging on a wall in my flat. In order to see how far you have come, you must remember where you came from.